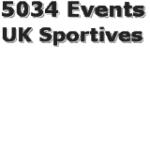 5034EventsUKsportive has been in the Sportive arena for many years and started with the well known and well reviewed by Cycling Weekly - The Spring Onion. Since all those years ago we have tried many different things with events and dates,but The Spring Onion has always been in its place as a well known season opener. At present we have three permanent events and one that's dependent upon when the New Year falls. Nevertheless we are always trying to expand our list of events.